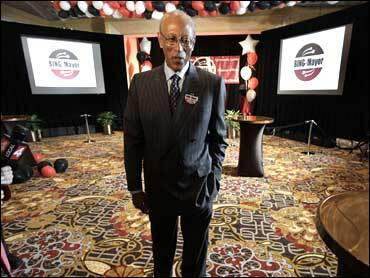 Basketball legend Dave Bing was elected Tuesday as Detroit's mayor through the end of the year, sweeping the incumbent from office in the city with myriad problems. With all but two of 629 precincts reporting, Bing had 52.3 percent of the vote, or 48,951 votes, to 47.7 percent, or 44,703 votes, for Ken Cockrel Jr. Both are Democrats. Bing praised Cockrel for running "a hard-fought campaign" and said he looked forward to working together when Cockrel returns to the council.